Cozy Craftsman’s Cottage – Two-bedroom in Eureka! Second Bedroom with Queen and access second bathroom. 3 bed for possible 5th person. This is located in a nook just off the dining room. 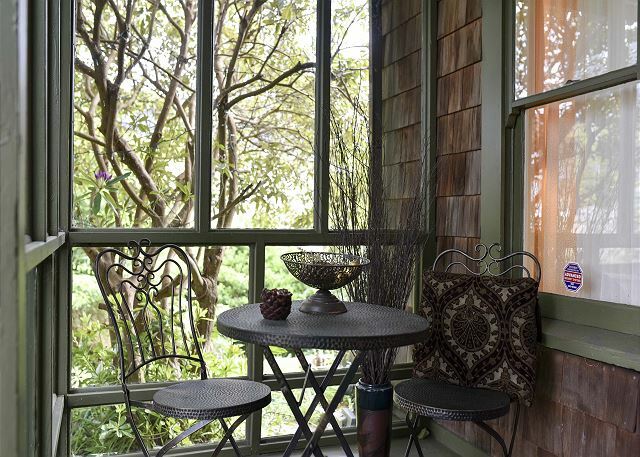 Cozy Craftsman Cottage is perfect for getaway to the Redwood Coast. 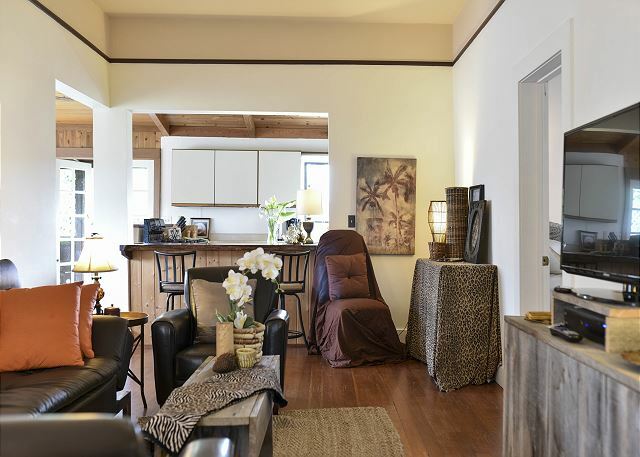 Situated just minutes from Old Town Eureka, this gated, two-bedroom, two bath cottage features is private, quiet, fresh and inviting. It features modern updates, yet maintains a craftsman feel. As you step in to the home you are greeted with a crisp and spacious living area with and open floorplan to the kitchen and dining room. The master bedroom offer a queen bed with an updated bath that features standing shower. The second bedroom has a queen bed as well with access to the other bathroom which features clawfoot soaking tub. This kitchen is light and spacious with all the necessary essentials. 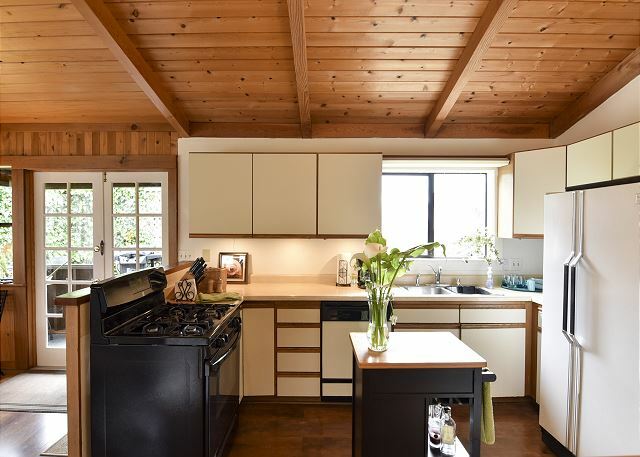 It features a cooking island, a beautiful Redwood Slab breakfast bar, updated appliances and cookware, and opens to the dining area. The Dining area is seats 6, and also features a sleeping nook with a twin bed for that 5th person. 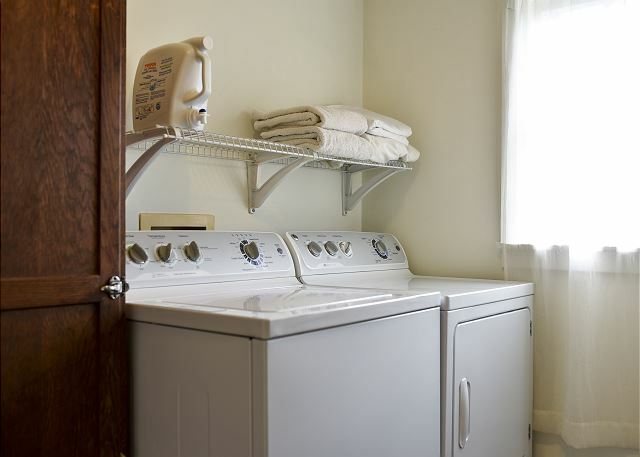 There’s also a laundry room with washer and dryer so you can catch up on laundry during your travels, as well as high speed wireless internet. 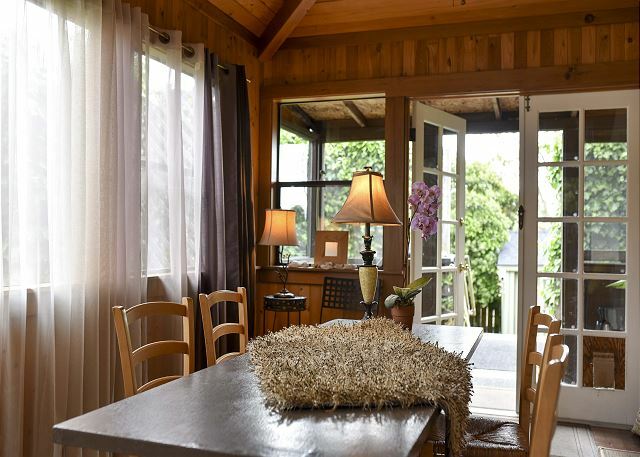 Located in the heart of Eureka, Cozy Craftsman Cottage is centrally located on the Redwood Coast. It’s minutes from Old Town, the Sequoia Zoo & Park, Fort Humboldt, the Bayshore mall, and much more. It’s only hour’s drive north or south to either of the Redwood State and National Parks, 10 Minutes from Arcata & HSU, 20 Minutes from the gorgeous beaches in Trinidad, and 5 miles from the beaches at the Samoa Peninsula. 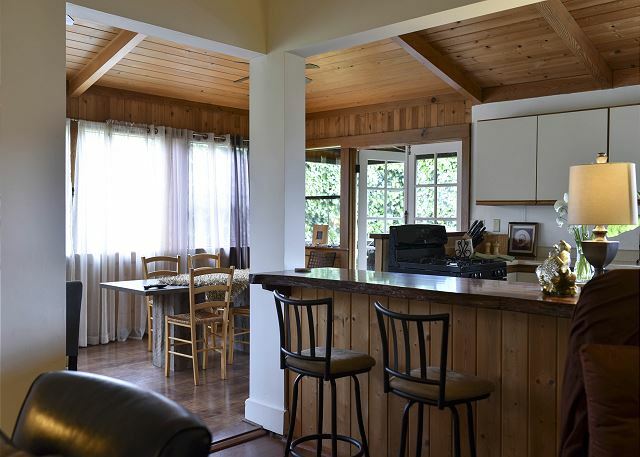 Stay, Relax, and Recharge and Cozy Craftsman Cottage! We had a very enjoyable time. The house was great. Great location between Humbolt State Park and Redwood National Park. 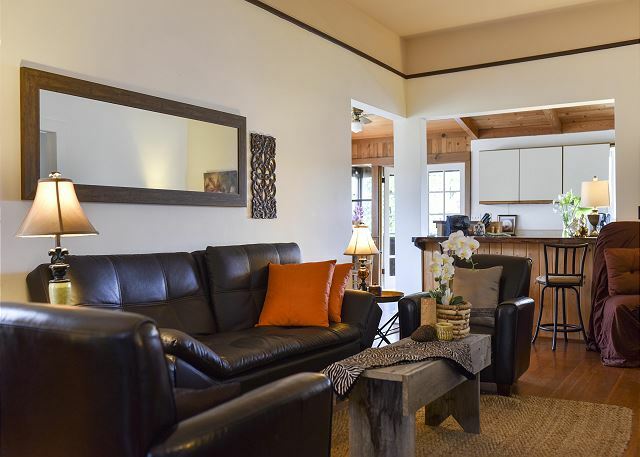 Great to hear, thank you for taking time to leave a review of Cozy Craftsman Cottage, we would love to have you back soon, please look us up at Redwood Coast Vacation Rentals when planning your next trip to the North Coast! We had a lovely time staying at the Cozy Craftsman cottage. 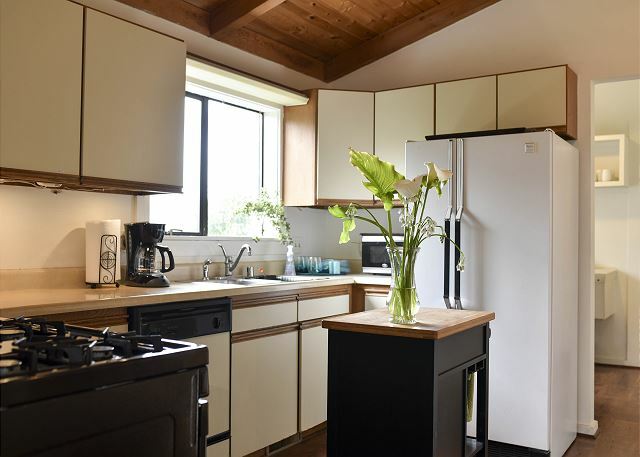 The kitchen and everything was well stocked with loads of extra blankets to lounge in the living room after a long day touring the beautiful Redwoods parks and coastal beaches. 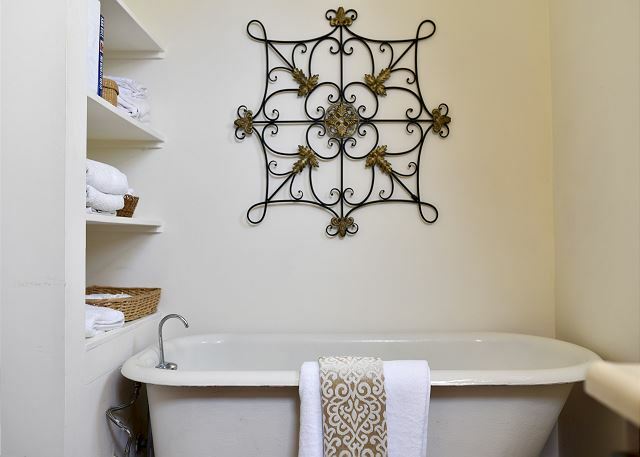 The tub in the second bathroom should have a hand shower or something so that one can actually have a shower easily. Else the bathroom is a waste if all 6 people have to shower in the other bath. Other than that we had no complaints. 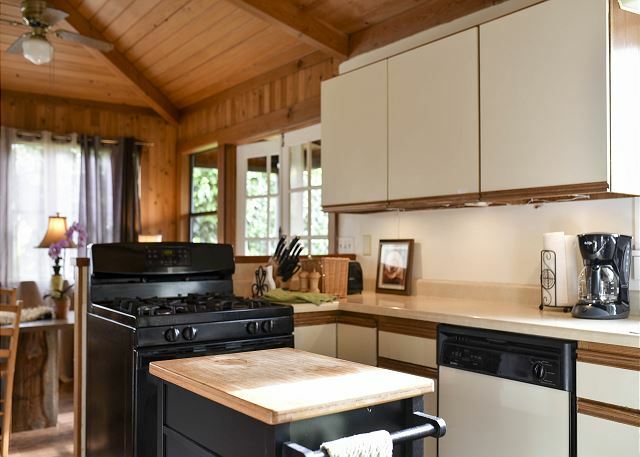 It’s a well done and centrally located cozy cottage perfect for your trip to the Redwoods! 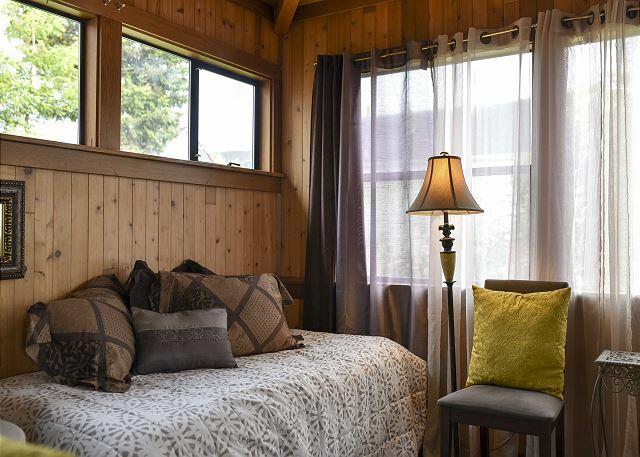 Thank you for taking time to leave your review of Cozy Craftsman Cottage. I will definitely be taking your input to heart and seeing about getting a hand shower in the second bath, that is a great idea! We would love to have you back anytime, please look us up at Redwood Coast Vacation Rentals when planning your next trip! All the instructions were correct and easy to follow. Nice quiet location with a great yard, aka, peaceful. Comfey beds and linens, comfortable furniture and the wi-fi was constant. The stocked kitchen was fantastic and we needed for nothing cooking our breakfast and lunches. I really scored with my mother-in-law. Thank you and we would come in For the maintenance people: the front shower control was difficult to stop dripping and control the temperature. 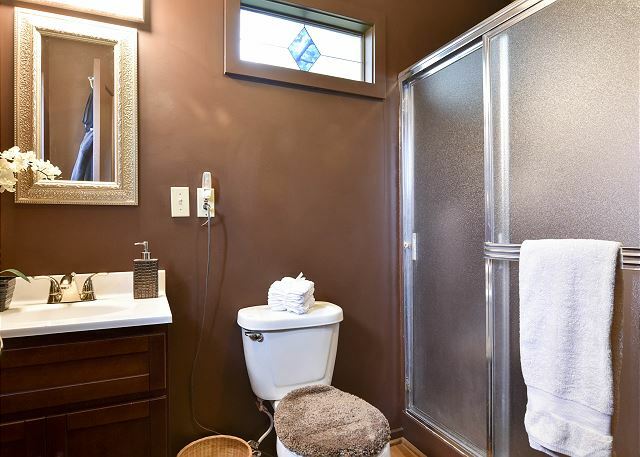 The front toilet also need extra attention to insure it didn't run. The exhaust fan needs cleaning and is not operating well. The back screen door latch/handle needs repaired. Thank you very much for leaving a review of your stay at Cozy Craftsman! This home was just recently returned to our inventory, so your feedback on what could use some attention is invaluable. Thanks so much! We look forward to having you back again, polease look us up at Redwood Coast Vacation Rentals when planning your next trip. Thanks again! Best looking house on the block, and even better inside! The layout is versatile for couples with/without kids. 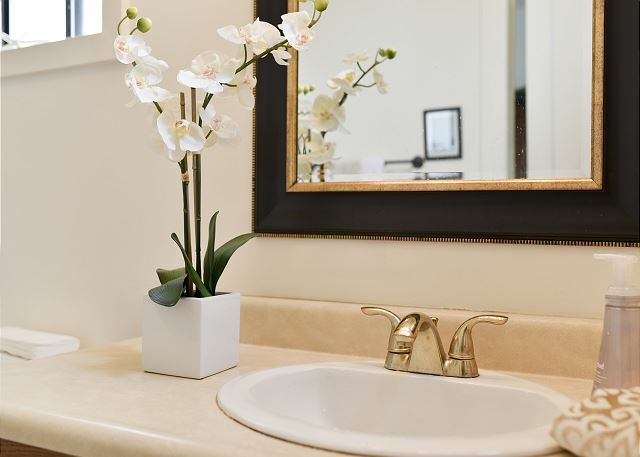 Every amenity imaginable (including touches like special soap, coffee, cookies) awaited us. The kitchen is very-well equipped, the beds are comfortable, the water pressure is great, TV/Internet worked flawlessly, the entire place was spotless! Front and back porches are lovely, too, though it was too cold for us to enjoy them in November! Street parking right out front, great location (close to everything but quiet). This was a stand-out among the several dozen rentals I've stayed in, and the management company was exceptional. I couldn't have asked for a better stay. Why thank you! Yes, it is one of the cutest little house on the block, private, and cozy. Everyone seems to really love this house, it books ALL the time. We appreciate you staying with us at Cozy Craftsman. We look forward to your return! We were very happy with the rental of the Cozy Craftsman home in Eureka. The decorating touches were nice although the dark brown paint in the first bedroom & bathroom was a little much. It looked like they even painted it in the shower stall & that paint was peeling off. 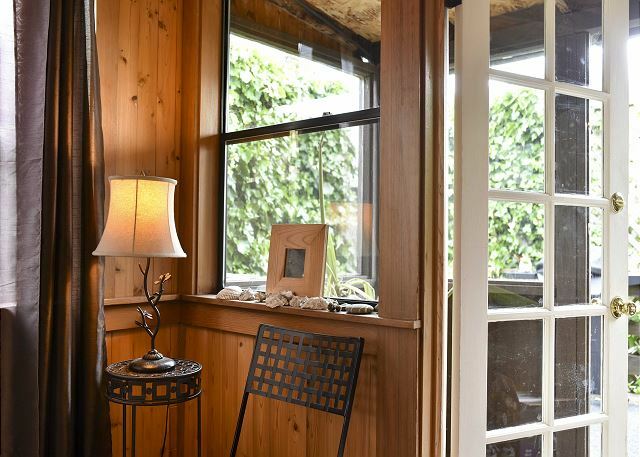 Thanks for taking time to leave your comments of Cozy Craftsman. We're glad to hear that you enjoyed the home, it has a nice porch off the back and BBQ for grilling out. 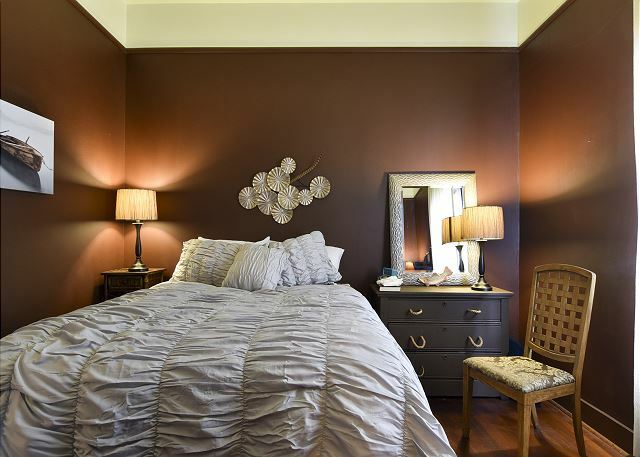 The paint choices in the front bedroom and bathroom are dramatic, and they offset that with lighter touches, such as the light colored bedding. As far as peeling paint, I will investigate and fix if needed. Thanks so much for the feedback, it's important to us, so we know where and how to improve! We hope to have you back soon at Cozy Craftsman, please visit Redwood Coast Vacation Rentals! Very happy with the home. 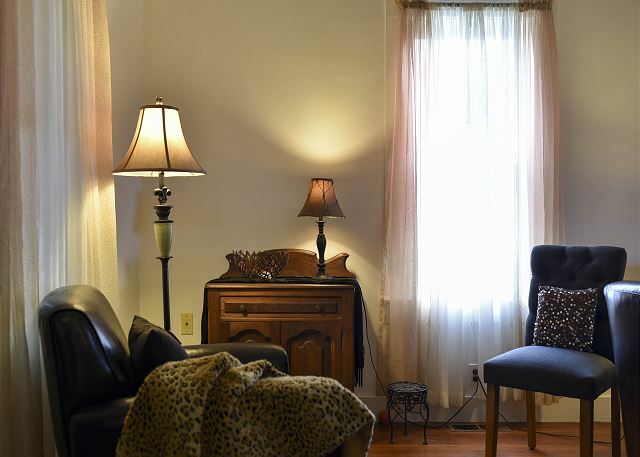 Centrally located, but private, and the home, though older, was super clean, and very quiet. I was working away from home and everything worked perfectly for my needs. So glad to hear that the home had everything you needed while working away from home. We thank you for taking the time to leave such a nice review of Cozy Craftsman all 5's across the board, we couldn't be happier you were so satisfied with your stay, it's what we strive for! Thanks again, and please look us up at Redwood Coast Vacation Rentals when planning another trip to the North Coast! Although a bit difficult to find the address this first time, we had a great stay. When tucked inside this well kept home, you feel like you could be anywhere. The kitchen is fully stocked for people who love to cook. The beds are soft. It's nice to have separate two baths. We used the house as our get away for a large family reunion located at another property. 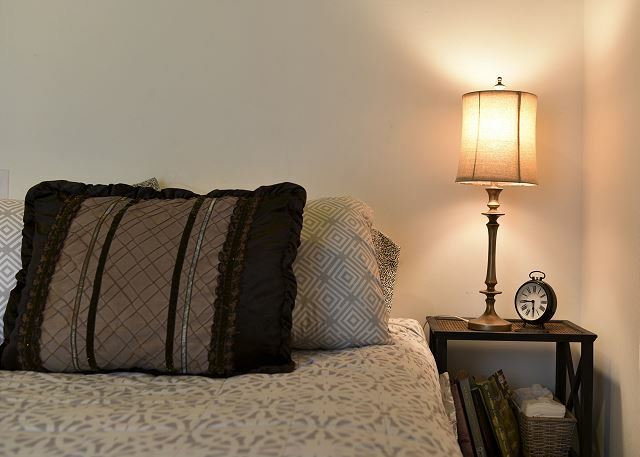 It is centrally located with easy street parking. We'd definitely rent this home again. 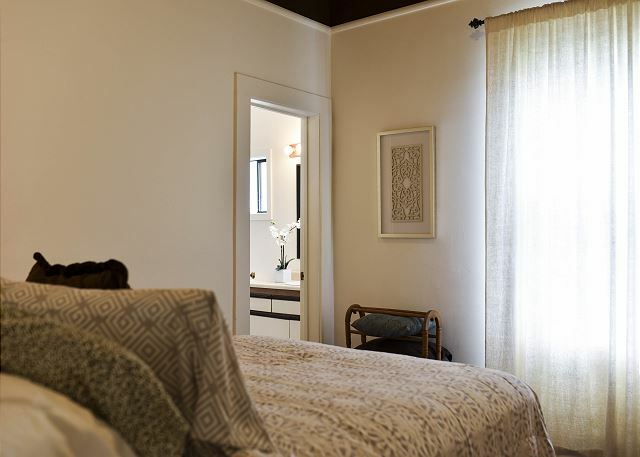 So happy to hear you enjoyed your stay at Cozy Craftsman! 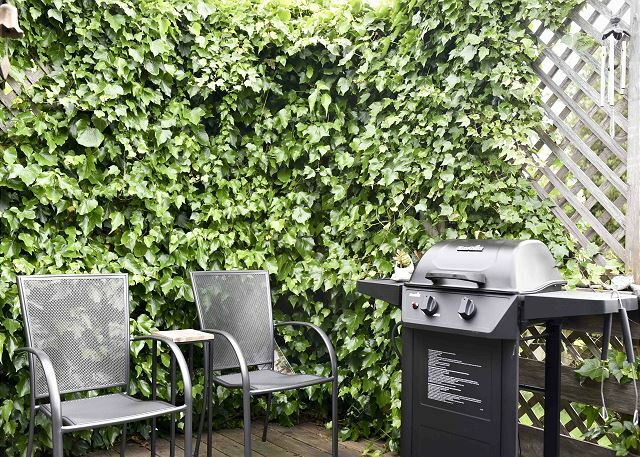 It's a very comfortable home, complete with deck out back with BBQ for grilling. It's a perfect home for a small family or a few friends, looking for a getaway on the North Coast. We look forward to having you back again, please visit Redwood Coast Vacation Rentals when planning your next trip to Humboldt County, with over 100 homes, there's a property for everyone! Visited Eureka for the Half marathon and the rental was a great location and price. The cottage was well maintained and clean upon arrival. I loved the fact the entire yard was fenced in and made for a very private vacation even though we were in the middle of the city. The only downside is the area as I didn't feel too safe being able to walk around but I think thats just a lot of areas of Eureka. I would highly recommend this rental for anyone wanting to visit the area; great for families, kids, and pets. Thanks for taking the time to outline the things you liked about Cozy Craftsman! It is very private, even though it's right in the heart of town. With it being pet-friendly, it's an added bonus that many vacation rentals don't offer. It's a perfect place to stay for a small family with pets. Thanks again for leaving a review and please visit Redwood Coast Vacation Rentals when planning your next excursion to the North Coast! This is an ADORABLE rental! My family and I (4 adults and two infants) really enjoyed our stay here. I would not hesitate to stay at this rental again. It is conveniently located in Eureka in a decent neighborhood. 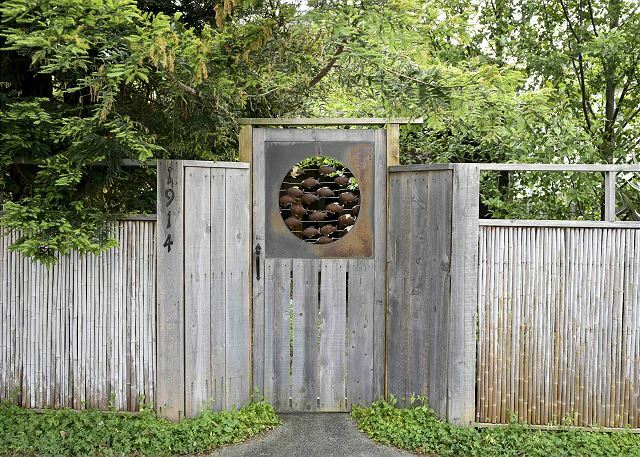 Easy access to redwoods (in the yard! ), breweries, beaches, shops, and more. Street parking only, but no concerns or incidents with our vehicles. Super comfortable beds and furniture and well stocked. Adorable little yard. I can't recommend this rental enough! Redwood Cost Vacation Rentals is always pleasant, professional, and works to make the process and your stay as comfortable and easy as possible. We always enjoy renting with them. Thanks so much for your kind words regarding Redwood Coast Vacation Rentals. We always try our best to make our guests happy! 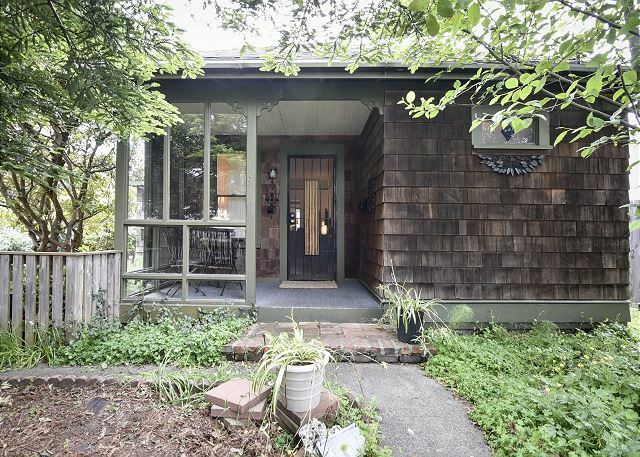 Cozy Craftsman is such a cute home, nestled back from the street, with a large wooden gate surrounding the property, so it's great for dog owners to rent,as the yard is completely secure, though you don't need four legs to enjoy the yard! New BBQ and deck out back make for good times. We are so glad you loved the home and hope to have you back soon! 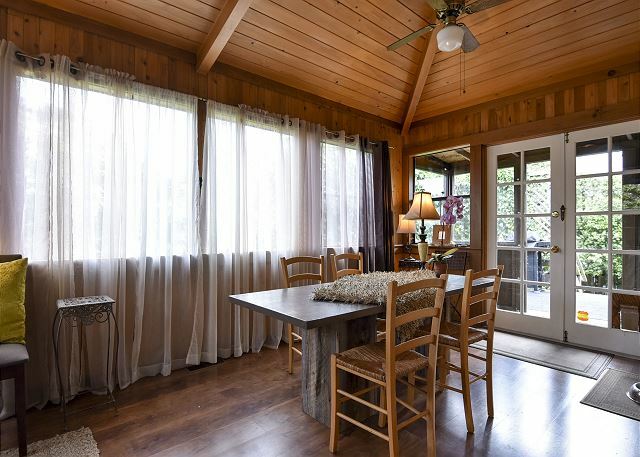 Please look us up at Redwood Coast Vacation Rentals when planning your next trip to Cozy Craftsman! comfortable house in easy location for getting to other places in the region - Eureka itself was a bit uninteresting (and the house in a easy-to-get-to from the 101 but not especially inspiring neighborhood) but the check in and out process was very easy - the communication fast and professional and house itself very comfortable and well appointed. Hi Alicia,thanks for the feedback on the house and surrounding area. We're sorry you didn't have a better time in Eureka, the waterfront has some good restaurants and lots of cute shops in Old Town, also there's The Madaket, a historic boat that gives tours of Humbodt Bay. Next time you are in the area, please call us and we can recommend some local attractions.Sounds like you enjoyed the home, so we hope to have you back soon at Redwood Coast Vacation Rentals, with over 100+properties, there's something for everyone. The house was adorable and very clean. There could have been a fan maybe in the bedrooms and the bathtub faucet was broken. Also a shade in the kitchen window would have been very nice since the sun beams through so brightly in the evening. All in all we had a wonderful time. The house is cute and tucked away from the neighborhood behind a beautiful fence and large trees. Felt secluded in the middle of the city! Close to Old Town, restaurants and groceries. After staying in several rentals this summer I would have loved to find a few more basic provisions in the kitchen. 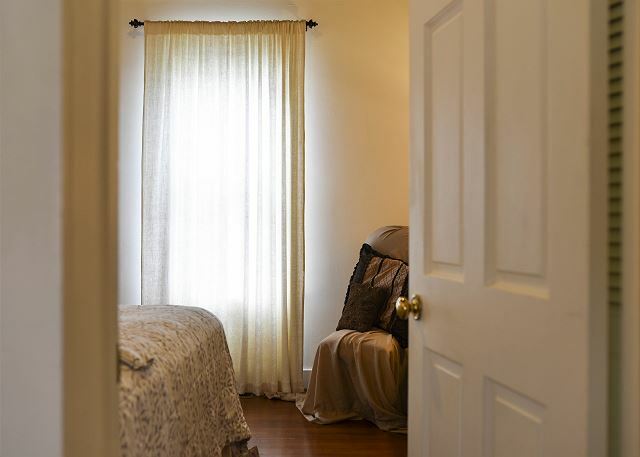 A curtain across the little bed in the dining room would make it much better for the person sleeping there. And if I'm honest it was a bit dirty. The kitchen floor was dusty and there were spider webs and dust in the window sills. Nothing terrible and we were comfortable for our two nights. Thank you, thank you! We appreciate this great and constructive review. We are so pleased your had an overall good experience at Cozy Craftsman. We appreciate you staying with us at Redwood Coast Vacation Rentals, a 100+ vacation home accommodation company. Safe travels! The craftsman cottage was a nice place to stay in Eureka, CA. It was close to shopping and the cute little downtown area. The house was nicely decorated and had comfortable beds and bedding. We're so glad you liked the cottage Michelle! It is one of our newer homes, and it's central location in downtown Eureka means that your always close to restaurants and shops. From your home, you can explore all the beauty the North Coast has to offer, and be back in time for dinner at one of our great local breweries. Thank you for taking the time to leave a review, we really appreciate it Michelle, and look forward to seeing you again next time you visit. Please check out all our properties on our website, North Coast Vacation Rentals, at over 100 homes, there's a property for everyone! Our stay at the Cozy Craftsman Cottage was wonderful! This was a wonderful home to stay in while we were in Eureka! Very centrally located and convenient. 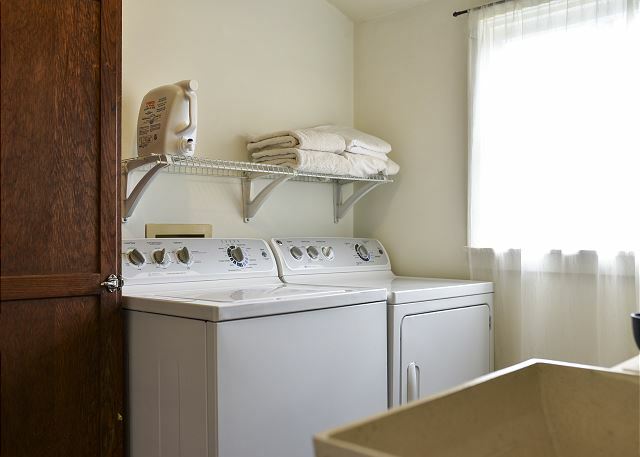 It was very comfortable and clean with everything you could ever need or want in a vacation rental! We were glad they allowed pets and the yard that enclosed the entire property was great for our dog! We will stay here again while in Eureka and you should too! !